Posted byNiraj Thapa Magar June 27, 2018 June 27, 2018 Posted inArticles, Knowledge, libraryTags: blogging, cqunilife, cquniversity, Executive coach of residence, Experiences, five dysfunction of team, High performing teams, lifeincqu, team management, team work, why team dysfunction?Leave a comment on Why Team Dysfunction? In the past few days…. Australia is very hard to live if you don’t work. The craziest part I think is that we can work, we can study, we can earn but it’s very hard to save. If you are saving then, that’s awesome. 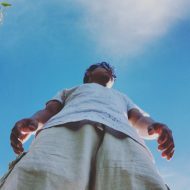 Posted byNiraj Thapa Magar November 16, 2017 December 1, 2017 Posted inExperiences, Journey to AustraliaTags: Australia, blogging, Experiences, life, life in sydney, student life in sydneyLeave a comment on In the past few days….